You will love this charming 2-story cottage situated in a gated, friendly neighborhood. With an open concept & over 1800 square feet of generous space you will be able to cook in the kitchen with a view of the lake, lots of cabinetry, stainless steel appliances & butcher block countertops. With the Master suite on the main floor you can wake up each morning to the sunrise in the East & drift off to sleep to the tranquil sounds of the lake. Upstairs there is a sitting area with a large bedroom facing the lake & another room you can use as you please. There are 1200 more square feet in the basement where you can store lake toys or finish it to create a whole new living area. Sit out on the covered deck made from Trex enjoying the view with your morning coffee. The new boathouse has is made w/ Trex flooring so you never have to worry about splinters or staining wood again. Come visit this oasis with new landscaping and everything the lake has to offer. Furniture is negotiable. 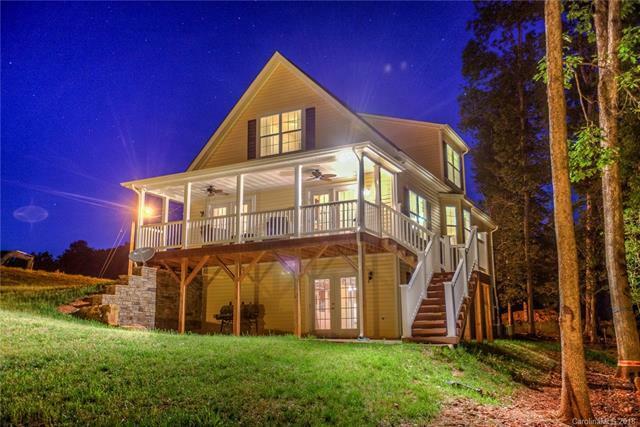 Sold by Lake Tillery Properties Llc.